BACK ON MARKET DUE TO LENDING FAILURE. 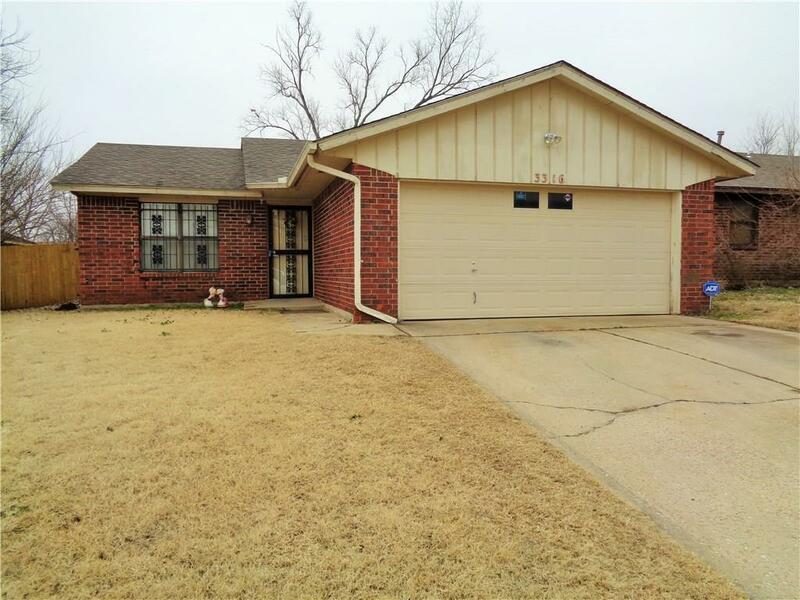 Great opportunity for 3 bed home with attached 2 car garage in Mid-Del Schools. Master bathroom with shower. AS IS SALE. PROBATE. CASH OR CONV LOAN ONLY. Only storm door locks, please ensure lock is engaged. Thanks.